Janice Kenny, 63 years old, and Jimmy Weavel, 66 years old, were last seen in Winnie, Texas, between 9:00 a.m. and 10:00 a.m. on August 2. WINNIE, TX (KTRK) -- An intensive search is underway for a missing Florida couple last seen in Chambers County, en route to Galveston, with DPS flying over the couple's possible route, looking for any sign of them or their vehicle. 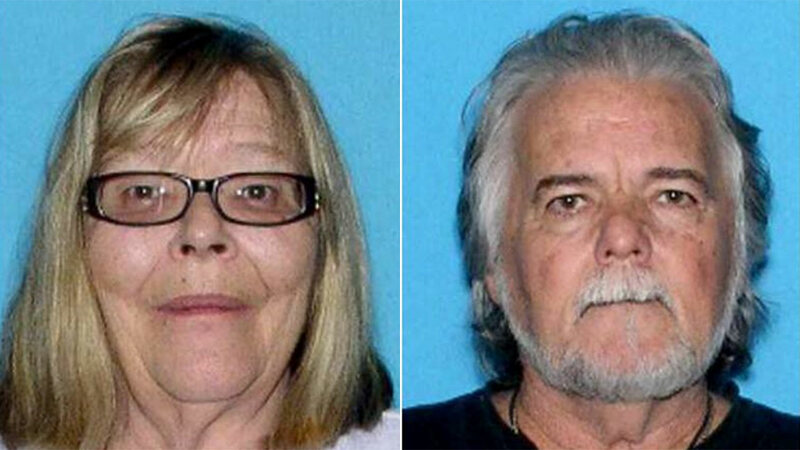 Janice Kenny, 63, and Jimmy Weavel, 66, from Fort Myers, Florida, were last seen in Winnie, Texas, earlier this week. Chambers County authorities have asked for the public's help to find the missing couple, but so far, they haven't turned up. Today the Texas Department of Public Safety assisted with an aerial search of the areas the couple may have traveled. Sheriff Brian C. Hawthorne says the couple were last seen in Winnie, travelling to Galveston, on Tuesday, August 2 in a black Ford F150 pickup truck with Florida license plate Y82HRT, pulling a Uhaul trailer with Florida license plate GDI828. They stopped at Jack's convenience store on State Highway 124 at State Highway 65 to ask for directions to Galveston and the ferry landing. Sheriff Hawthorne also met today with Tim Miller, founder/director of Texas Equusearch, to discuss combining efforts and resources regarding the search. Numerous calls have been received regarding possible leads and, after investigation, have proven to be unproductive. Anyone with any information regarding the whereabouts of the couple or their vehicle, is asked to call the Chambers County Sheriff's Office Criminal Investigation Division at 409-267-2500.